It has been brutally hot and humid here for the last few days, so eating anything even moderately warm has been out of the question. I adore summer salads and that’s been my answer to the dinner question for the past several days. 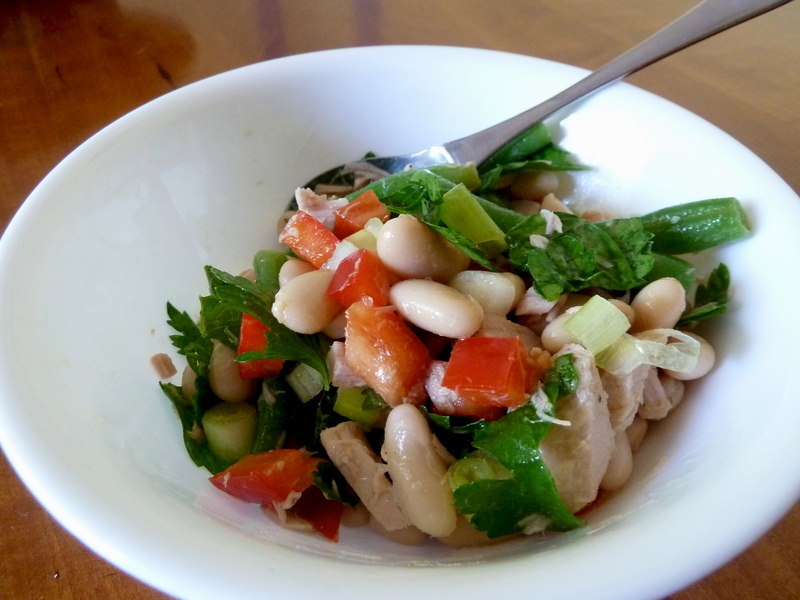 Today I made a tuna and white bean salad. It’s very quick, very easy, and more than adaptable. Once I added broccoli and basil because I had some in the fridge. I’ll give you general measurements that I use, but please don’t worry about following them. They’re just a guideline. In a pot of boiling salted water, cook green beans until crisp-tender, about 3 minutes. Drain and run under cold water to stop the cooking. Add next 7 ingredients. Season with salt and pepper, and toss to combine.